First Team Construction Co., Inc. was started by Marvin E. Deen in 1997 as a general contracting company performing home, multi-family, and small commercial projects in the Auburn/Opelika area. A local to the Auburn area for many years and a 1986 graduate of Auburn University’s Building Science program, Marvin quickly established a highly regarded reputation within the construction community. In 1999, Greg W. Kiteley was brought in as President of the company. Also an area local and 1986 graduate of Auburn University’s Building Science program, Greg led the company’s profile expansion into the “hard bid” sector including school, administrative, and other government projects throughout the central and southern regions of the State of Alabama. 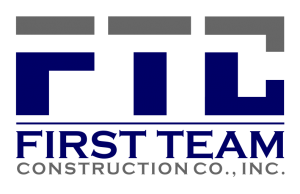 Since its incorporation, First Team Construction Co., Inc. has grown to have a successful bonding history with a current capacity of over $50,000,000. First Team Construction Co., Inc. was ranked the 28th largest Alabama contractor by Business Alabama Magazine in 2015.